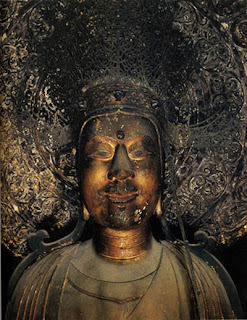 The item that I have an extreme emotional attachment to is...Kuze-Kannon (Guanyin) in Yume-Dono, Horyuji Temple. I like looking at Buddha statues from childhood (I'm Buddhist so it is not only for interests but also for religious reasons). but I didn't have any speific "favorite Buddha statue" until high school. 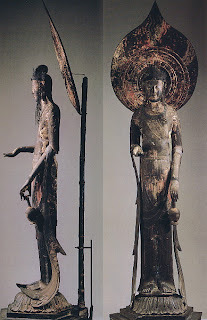 I learned about this statue when I was in 2nd grade of high school, and soon after I heard about the story, I planned to see the real statue in Nara prefecture. The story is so mysterious and a little scary. 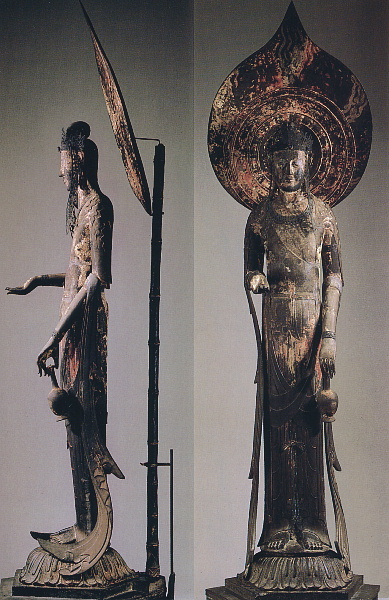 This statue had been covered with white cloth from ancient time (probably Kofun period) to Meiji era. When famous historian Ernest Francisco Fenollosa decided to take the cloth off, many monks in Horyuji ran away from the temple because no one hadn't seen it for a reason which nobody knew. 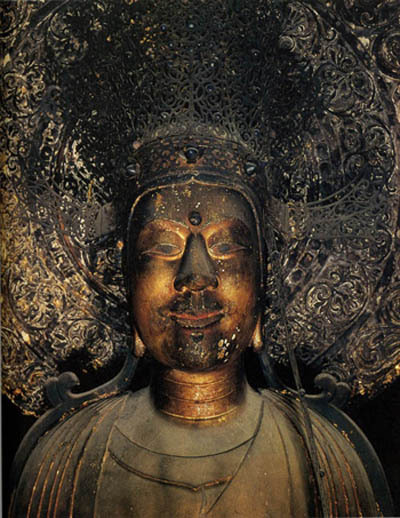 Fenollosa found that the statue was not like a nomal Buddha statue because of its facial expression. Moreover, no one knew why it had been covered not to be seen. However, the most impressive thing was its aureola. Usually people built a bar behind statue to express aureola, but for this statue, the halo was put by punching nail into Buddha's head!! On April of the year I went to Nara to see the statue. When I faced it, I started crying and couldn't stop. I didn't know why. Maybe I love the statue, and at the same time I'm scared by it. I think this is one of the most mysterious sacred object in Japan.